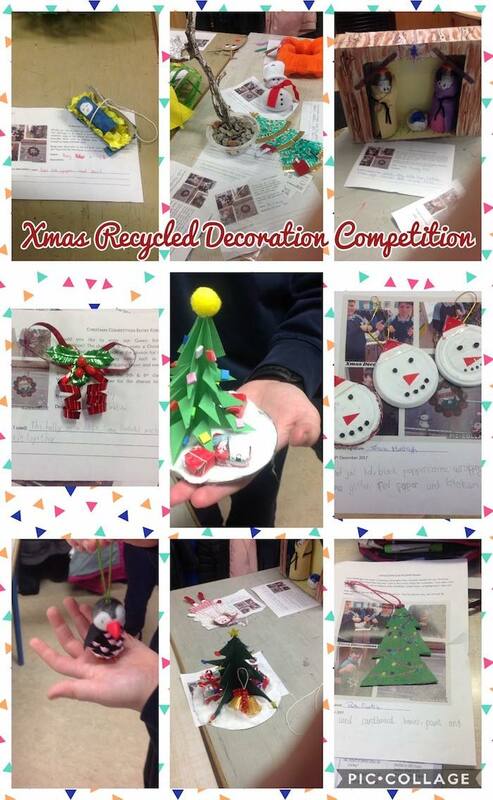 We received lots of creative and original entries for our Green Schools Christmas Competition. 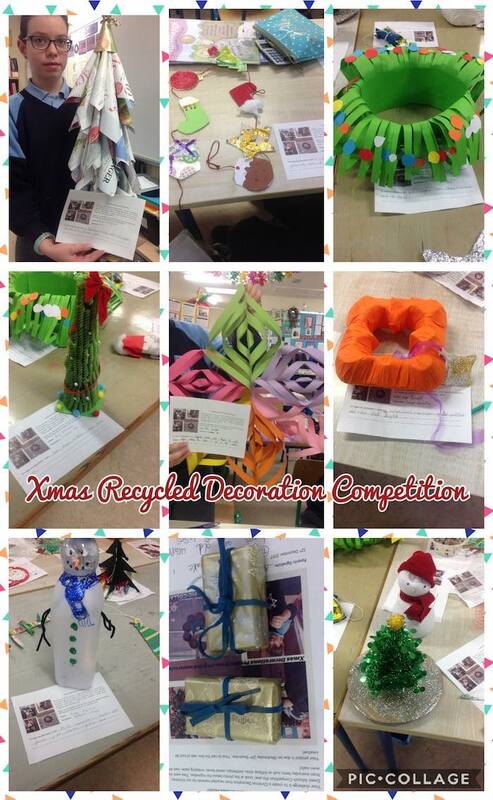 The challenge was to create a Christmas Decoration from recycled materials.They were made from everyday items such as lollipop sticks, bottletops. cereal boxes, wrapping paper and even lightbulbs. 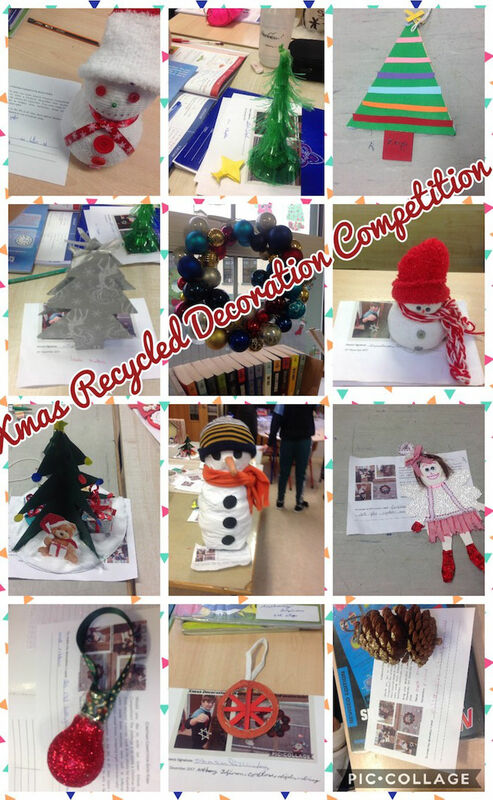 Ms Collins had the difficult task of choosing the winners.